Ability World's innovative new TechPAD enables you to very quickly secure an access switch, BIGmack, iPad, etc to a flat surface, confident that it won't slide around in use! Ability World's stylish, innovative new TechPAD© has non-slip feet, enabling you to very quickly place an access switch or other small item (e.g. a BIGmack, iPad, etc) on a flat surface confident that it won't slide around when in use! TechPAD is versatile, robust, lightweight, washable and incredibly simple to use! Place your TechPAD on a table. 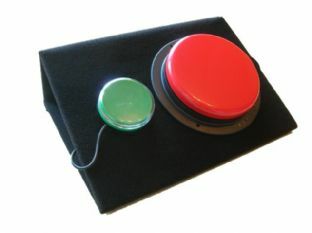 Attach your switch or other item to the TechPAD's nylon loop surface using self-adhesive hook coins or tape. When you press the switch to activate whatever it is connected to, the 4 rubber 'GripPads' (see related products below) will hold it in place on the table. TechPAD's nylon loop surface means you can attach many other small items to the TechPAD, not just switches. 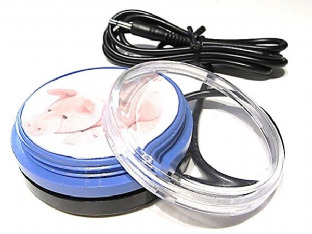 Sticky Feet: Supplied with 4 GripPads, which can be removed and repositioned to ensure best possible grip for the weight and size of the object you have attached to the mount. 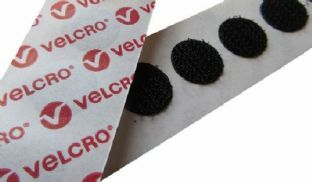 Important: Please ensure that you have used sufficient VELCRO® brand hook coins or tape to secure your switch or other item to the mount. 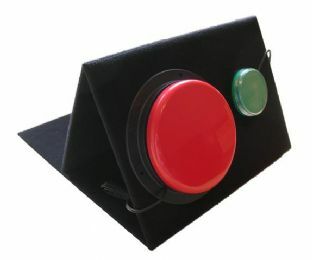 Although one hook coin may be suitable to hold a lightweight switch in place, it would not be sufficient to hold larger assistive technology devices or tablets securely and Ability World Ltd accepts no liability for damage that may result from poorly attached items. 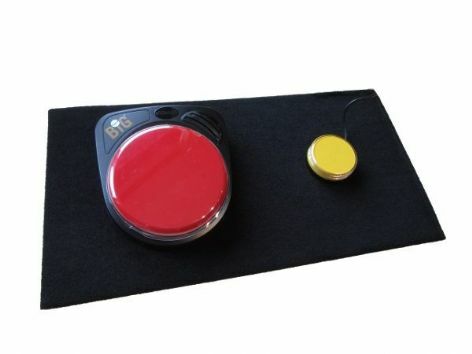 This product is ideal for use in assessments, for use in a classroom or other situations where switches etc. need to be frequently moved around. 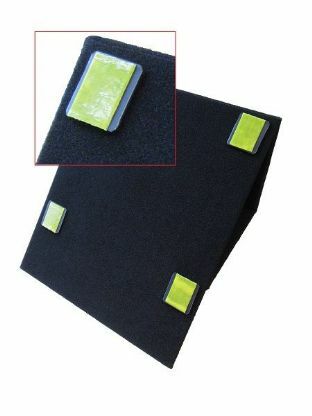 The GripPads are attached by VELCRO brand 'hook' rectangular pads and can be easily removed and repositioned, or used on other nylon loop products. The TechPAD is easy to carry or store. Popular 28mm diameter switch. Clear twist-off cap lets you quickly label your switch! 4 colours. 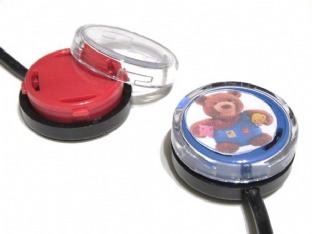 Control compatible toys, communication aids and other assistive technology. 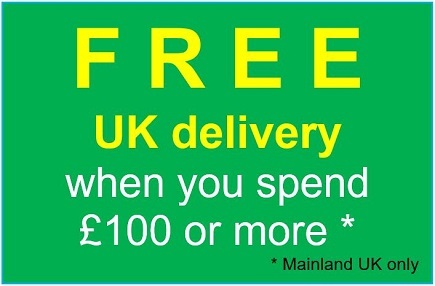 Fantastic value 65mm switch. 4 colours. Clear, screw-off cap lets you label switch with a symbol - our most popular switch! Ability World's innovative new 'Wedge' Portable Switch & Tablet Mount Variable-angle has non-slip feet and is a versatile, robust, lightweight, washable and incredibly simple way to position switches, etc at a range of angles. 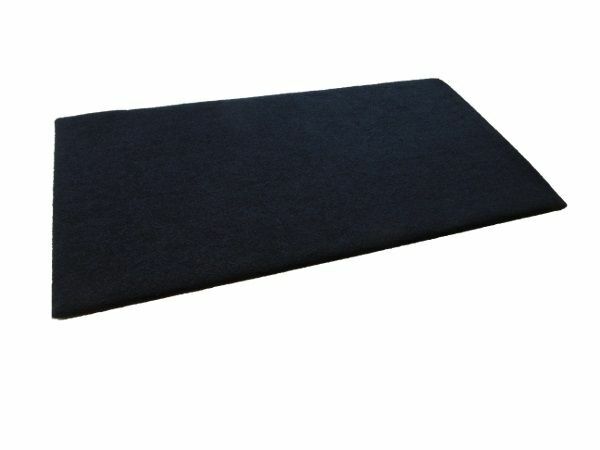 GripPads - stop your switch mounts & choice boards sliding! Grip Feet are an excellent way of stopping your nylon loop covered communication / choice boards from slipping on a smooth surface, e.g. a desk or table.